HomeJan. 28 Live Event Recap — what we learned. Windows 10, awesome. 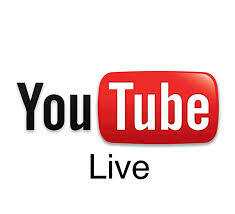 Live streaming to Youtube via Google Hangout? It’s pretty easy, but you have to build the Youtube channel and make the preparations.Afterward though, we “unpublished” it (a link embedding it is below.) Why? Pretty seriously dull stuff, otherwise and — not produced with any characteristic titles, etc. For a more intentional purpose there are a ton of possibilities and some things to rehearse … The crucial bits are a good PC and Camera and of course solid internet access. In this case: We streamed 123minutes … no hiccups. Unsure why, but at one point the audio failed. This has to have been my fault … I think mistakenly clipped the mute button on the Notebook keyboard when I was moving the computer around on the desk. The Windows 10 Prerelease build was stable — I not only streamed the video over a Logitec USB II HD web cam but, remarkably recorded video !simultaneously! with my Sony Handy Cam over FireWire IEEE1394 … All while showing desktop to two screens onsite and sharing the desktop in the live stream, switching between camera (people) and applications we were viewing several times. The Notebook is an older Dell Vostro. The only real issue I noticed — that Win10 — regardless of browser (IE, Firefox, Safari … ) seems to interpret sites as a mobile appliance. This make viewing sites that have mobile implementations preferable, by a large margin over legacy code. ← Direct Marketing in the Digital Age – Emailing Client Lists? Reblogged this on Web Presence Consulting.